Understanding the determinants of home-efficiency improvements is significant to a range of energy policy issues, including the reduction of fossil fuel use and environmental protection. This paper analyzes retrofit choices by assembling a unique data set merging a nationwide household survey from Germany with regional data on wages and construction costs. To explore the influence of both heterogeneous preferences and correlation among the utility of alternatives, we estimate conditional-, random parameters-, and error components logit models that parameterize the influence of costs, energy savings, and household-level socioeconomic attributes on the likelihood of undertaking one of 16 renovation options. We use the model coefficients to derive household-specific marginal Willingness to Pay estimates, and with these assess the extent to which free-ridership may undermine the effectiveness of recently implemented programs that subsidize the costs of retrofits. 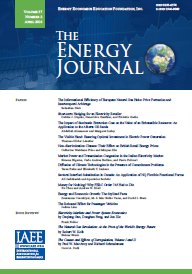 EJ - Energy Consumption in the French Residential Sector: How Much do Individual Preferences Matter?